This fresh musical setting of the treasured Thanksgiving hymn text, "We Gather Together," is a reminder of God's many blessings. Choirs of all ages will enjoy this new adaptation of a memorable melody as they gather for worship and praise the Lord for the freedom He has given to His people. 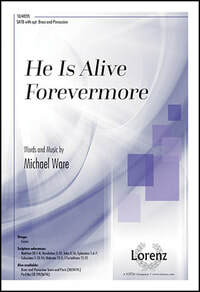 This anthem is scored for SATB voices and piano with optional flute and cello.